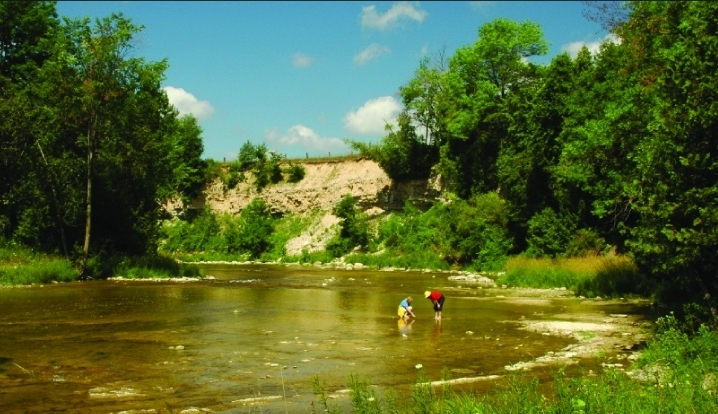 The Saugeen River is located in southern Ontario, Canada, flowing generally north-west about 160 km before exiting into Lake Huron. The river is navigable for some distance, and was once an important barge route. Today the river is best known for its fishing and as a canoe route. The South Saugeen flows through south Mt. Forest.